All Photos on this Web-Site are Copyright© Hans M Norman. All rights reserved. both in Sweden, Denmark and Norway. climbing out majestically just after rotation from runway 08 in July 1994.
being phased out in 1987. 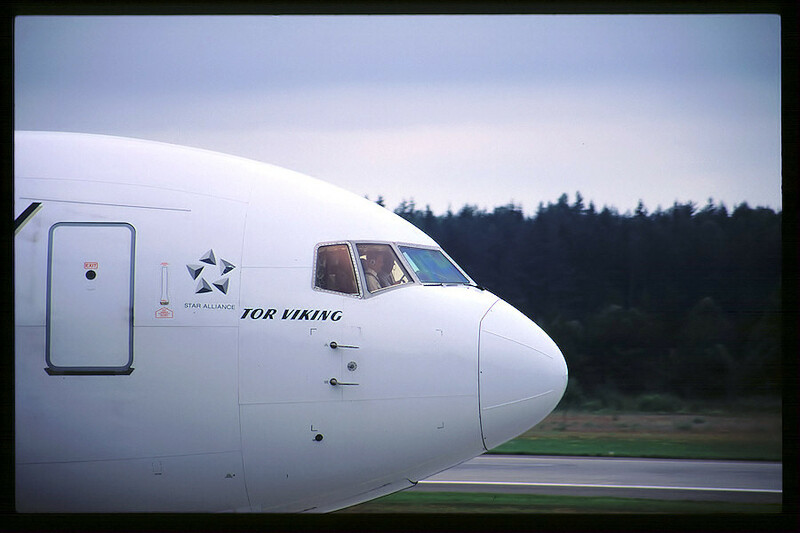 A bit of history as SAS Boeing 767-383ER OY-KDN "Ulf Viking"
is taxiing to the gate at Stockholm Arlanda, inbound nonstop from Los Angeles. prestigous 13 hr, 10000 km, nonstop fligt between Copenhagen and Singapore.